We are sorry but this website is not usable on devices with small screens. Resize the window if possible or use full screen mode. The most accurate website for EQUINE GENETICS & PERFORMANCE! the best possible and informed breeding or buying decision. STOP SEARCHING. START FINDING. This is a free database - add your horses today! Upload the official pedigree and you can add pictures, videos and additional information - for free! data with your uploaded genetic tests or performance records is also done for free! 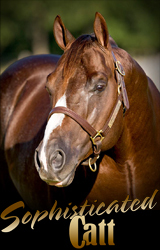 We offer the additional service to mark your horse FOR SALE or AT STUD for less than $10! Check out our Facebook page for offers! Contact us for pricing regarding banner advertisement. and how we ensure immaculate data quality. If you experience problems, please consider updating your browser or installing Firefox (Mozilla Firefox official download page!) Help us to improve this database and send us a bug report with screenshot: dark. 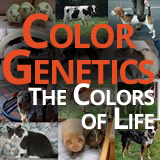 This page is not controlled or verified by an allbreed GENETICS administrator! The email and IP of the person changing content is logged and any changes are the sole legal responsibility of the person doing it.